How Might Tinnitus Alter Your Perception of the World? It’s just a little noise in your ear, right? When you put it that way, it sounds harmless but the reality is that tinnitus alters your view of things right from day one. Tinnitus is not a real noise but it still takes a toll and not in a good way. For some sufferers, it is a life changer that gets in the way of talking to others, a good night’s sleep and the ability to concentrate. It alters your perception of your world by interfering with many different parts of it. To understand how this happens you need to know more about this condition. Tinnitus means you hear noises that no one else can hear. People think of it as a condition but it is actually a symptom of something else like the age-related hearing loss. If you have tinnitus, it is important to know many other people do too. According to the American Tinnitus Association, about 15 percent of the U.S. population have tinnitus at some level. These are all sounds indicative of tinnitus. All that is great information, but it doesn’t explain the mechanism behind tinnitus. The fact is tinnitus is a bit of a medical mystery, and there may be more than one cause. For most people, tinnitus is a symptom of hearing loss. The brain is conditioned to hear sounds because it’s around you all day long. It’s there when you walk the dog. It’s there when you read a book. There is sound going on even if you meditate in a quiet room. Noise is a constant. Your ears pick up even the smallest of sound waves and send them to your brain for interpretation. It’s your brain that decides whether you actually hear the noise or not. When a person has hearing loss that all changes. Suddenly, the sound isn’t coming to the brain the way it used to, so it gets confused. Scientists believe that to compensate for the loss of normal noise; the mind creates a ringing, a buzzing or imitates the sound of wind rushing by. It would rather “hear” that made up noise then live in silence. 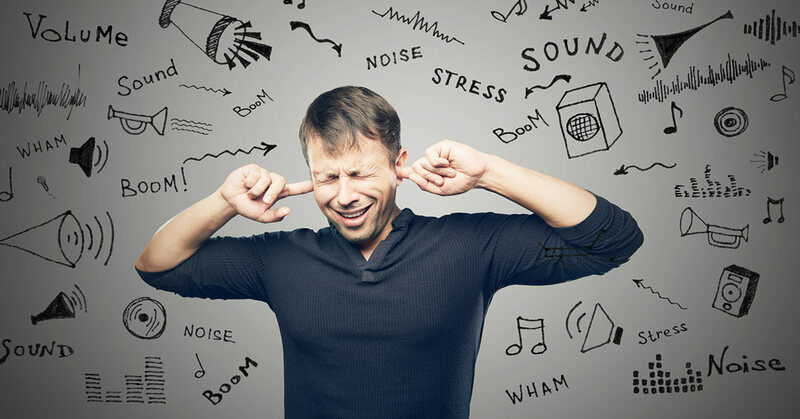 It’s clear that if you suddenly start hearing the phantom noises of tinnitus, the first step is to make an appointment with your healthcare provider. It’s important to find out why you have tinnitus and to rule out very serious medical problems like high blood pressure. How Does Tinnitus Impact Your Perception? The loss of control and frustration can bleed through to everything else you do. Make an appointment with your doctor to talk about your options. If the cause is hearing loss, getting a hearing aid for that ear may help. Hearing aids amplify sound, so your brain starts getting the daily noise once again. White noise machines simulate environmental sounds when you take your hearing aids out like at night. You can also try to create your own kind of noise with a fan or by running a dehumidifier. Perception is a word that describes your awareness of the world around you. That improves when you eliminate the distracting noise of tinnitus.